8.15k | Season It Already! Posted on October 28, 2013 by Carrie @ Season It Already! One of my favorite college professors once told our class that you can never do something again. You can do something similar; but you can never do it again. I believe, at the time, he was speaking of travel. But it can apply to pretty much any experience in life. When Rob told me that he wanted to walk around the St. Anthony Main area of NE Minneapolis again, I was looking for it to it. Our walks exploring the city are my favorite dates with my husband. And since Joe created four more stations to the Get LOST in Running Virtual Race Series, my plan was to do the Looking Glass Station 8.15k. I used Coconut Aminos in place of the fish sauce and onions in place of the bell peppers. It could have used a bit more spice. That’s a note to self for next time. Then I read Kat’s tip to always double the sauce, when she made a different Thai Beef with Basil Recipe. I may have to take that advice. Tuesday – Pork Chops this way – most likely with green beans on the side. We skipped this and ate leftover still hanging out from last week instead. 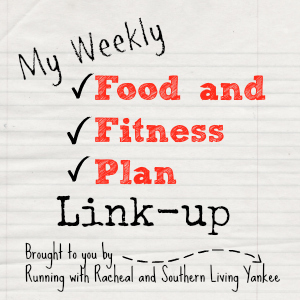 Wednesday – Meatballs with Tomato Sauce – Just like we made in class the week before! A Keeper! Thursday – TBD – Turkey and Black Bean Cabbage Bowl with Avocado Salsa <-–An awesome, must-try! I made it when I had the girls over for dinner. I’m going to make a Rob-friendly version this week! Friday – Dinner night out with the girls – Restaurant Impression coming this week! Egg Rolls – <– You must make these! They aren’t what you think. It’s an egg rolled up in a tortilla. I used some leftover enchilada sauce instead of the sriracha. These are perfect when you have leftover tortillas to use up! It was certainly a most successful cooking week! 30-day Arm Challenge –Okay, I keep forgetting about this. I need to post it somewhere where I don’t forget after I’m done doing cardio. I’ve only done 3 days so far. I want to start over so I can do these always according to the plan. After we had so much fun getting LOST in NE Minneapolis earlier this summer, Rob wanted to go again. It wasn’t the same, but it was absolutely wonderful to be walking around in the cool, fresh, fall air! We finished the LOST Looking Glass Station 8.15k, but without a care for time. 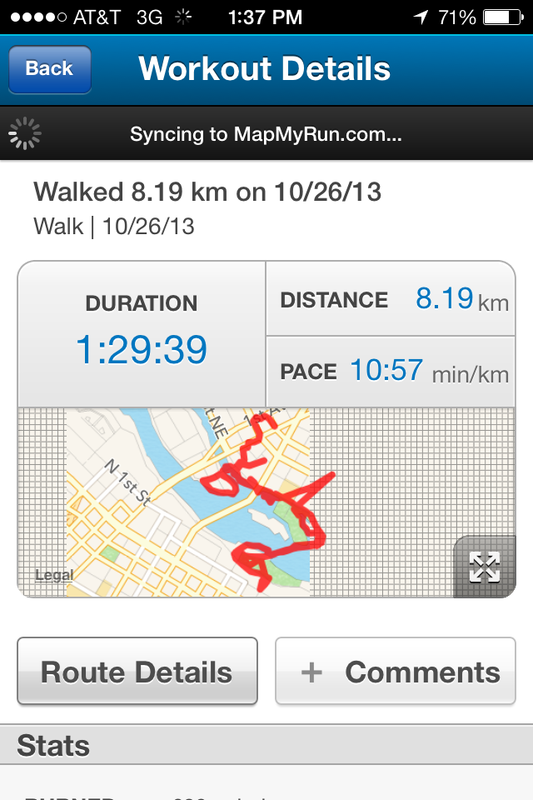 As I brought running back into my fitness routine, my back started to hurt again. I decided to back off. I’ll be sticking to walking for a while. Instead, we took the opportunity to stop and smell the roses enjoy the views and take photos. It was a brisk, but gorgeous day. I was in an incredibly good mood! I skipped ahead, climbed up on benches and tree stumps and took photos of the beautiful fall colors. We crossed the Stone Arch Bridge and happened upon the Mill City Farmers Market just as they were closing up. 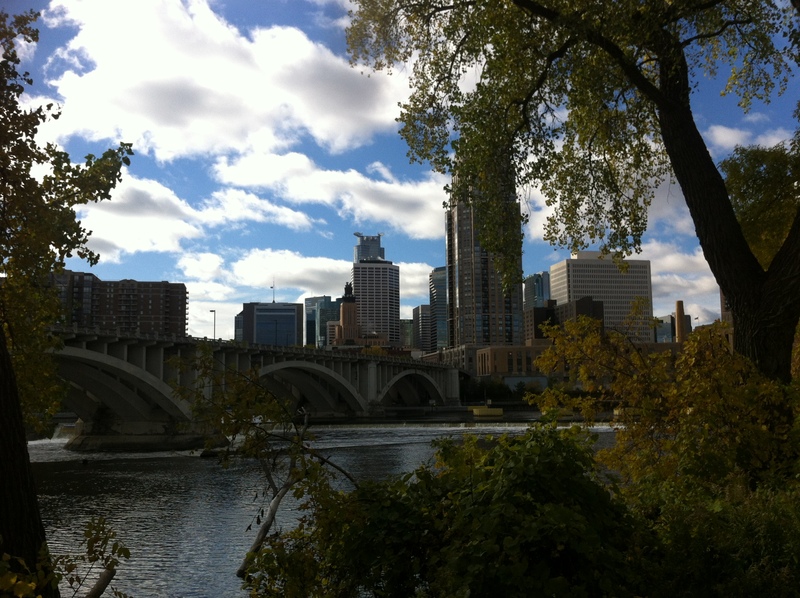 We really do enjoy living so close to Minneapolis… and feeling like you can still enjoy nature on such an Urban Walk. 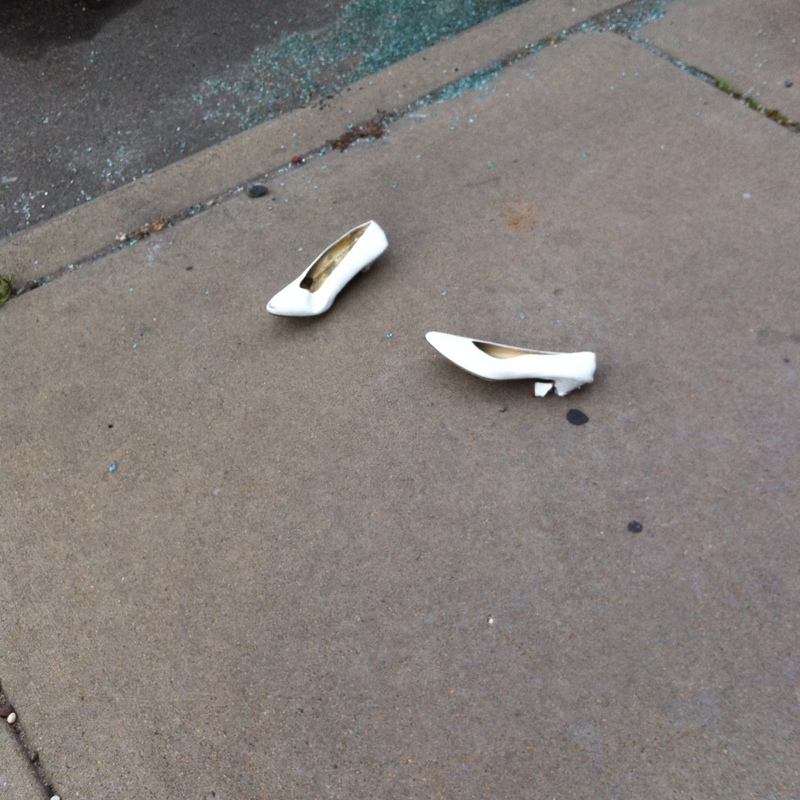 Would you discard your broken heels in the middle of the sidewalk? The Bulldog NE was packed for the U of Minnesota Gopher football game, but we managed to find a seat at the bar. We split a lunch of some sliders and truffle tots. And I tried a new-to-me beer – a DOUBLE Black Ale, made by a local brewing company, Indeed. We just had to look it up online at Beer Advocate to learn more about it! It was another great walking date day with my husband. It was truly a similar event to last time, but it definitely wasn’t the same. But I still loved every moment of it. Monday – Mexican Cabbage Bowl – It’s what I made last week for the girls, just with beef to make it Rob-friendly. I’ll skip the avocado salsa, too. Egg Rolls – with enchilada sauce. I love these! 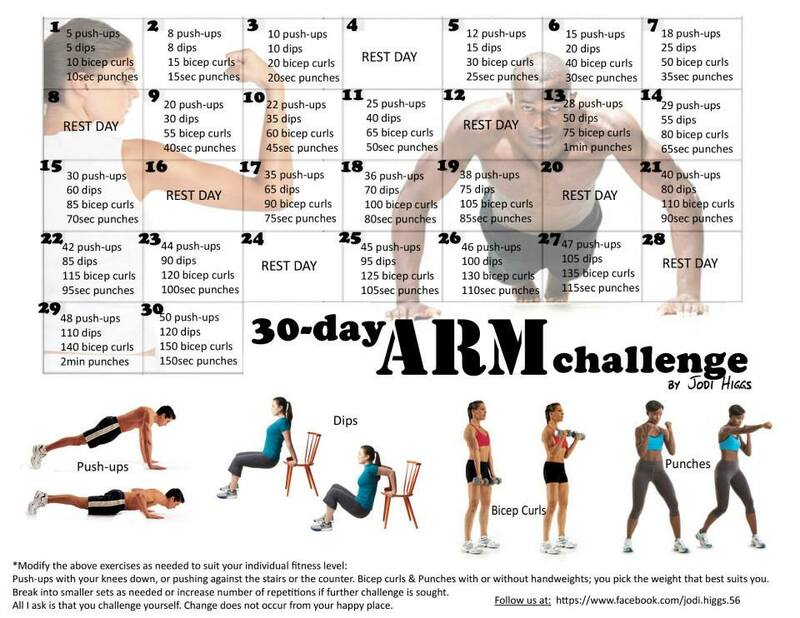 30-day Arm Challenge – I really want to do this. I just keep forgetting. I need to put the schedule by the treadmill instead of on my bedroom mirror. I never thought going on a walk with my husband would be my favorite sort of date, but I’m so glad that this year, I discovered that it is.